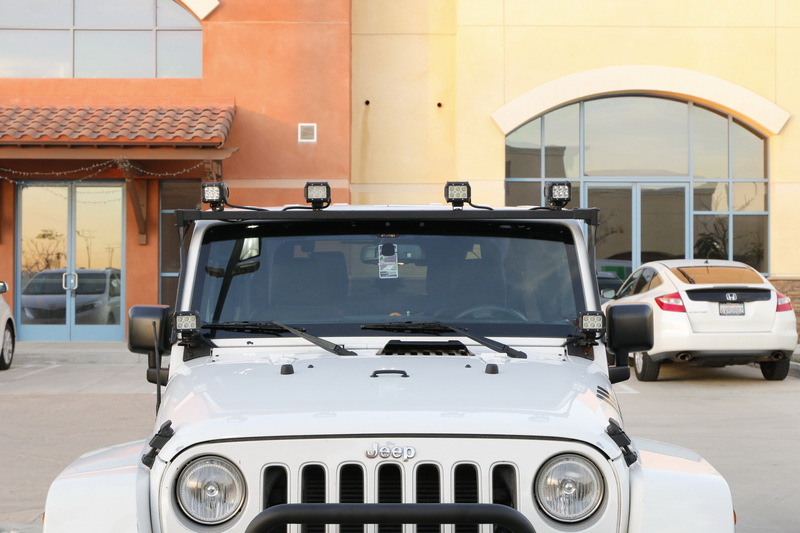 Updates and News about Jeep for cars installed with iJDMTOY LED lights, HID lights and more. 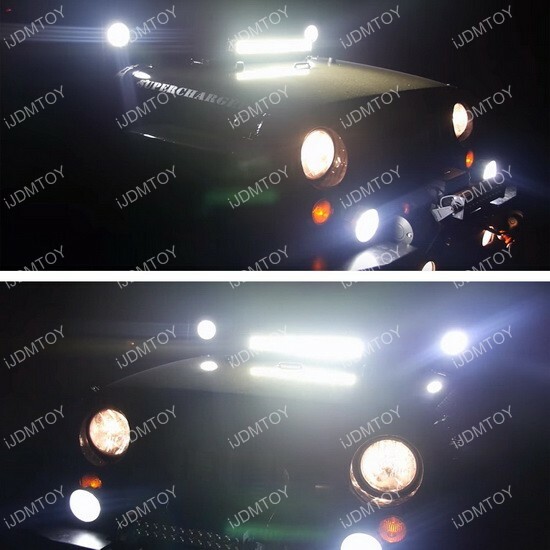 How Many LED Lights Can You Equip Onto a Jeep Wrangler? When it comes to trekking the great outdoors, there’s nothing quite like the Jeep Wrangler. Everything about it just screams outdoors, from the shape of its frame, to its all-terrain tires, to the lighting utility it provides. Yes, you can always count on a Jeep Wrangler for any and all offroad occasions including mountain driving, camping, and so much more! And while it provides a sufficient amount of light for rural areas or nighttime occasions, there is always room for more lighting, including the A-pillar mounted 40W CREE LED pod lights. When most people think about how much you can do with a license plate, not a whole lot comes to mind. It’s just a sheet of metal with numbers and letters right? It is well known that your license plate can be used as an identity tool; you can find out a person’s name, address, registration, price history of the car, and so much more. However, creative uses are limited to setting the tags off to the side or set on your dashboard, or adding a frame. 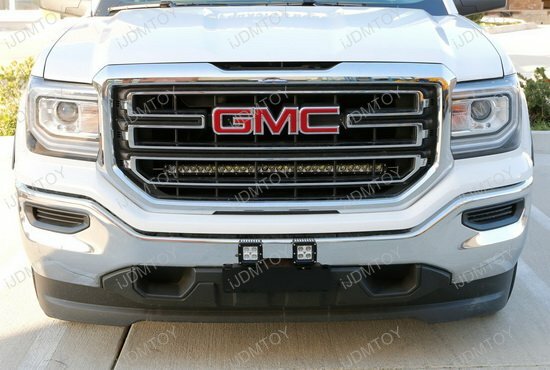 Did you know that you can equip your license plate with a high power CREE LED pod light set? Jeeps are notorious for creating one of the best off-roading vehicles consumers can buy today. When people think of Jeeps though, they think of the Jeep Wrangler and overlook the Jeep Grand Cherokee. The Jeep Grand Cherokee is a more livable Jeep with the same off-roading capabilities as it’s siblings. Like with other Jeep line-ups, many people want to make their vehicle stand out and add accessories. 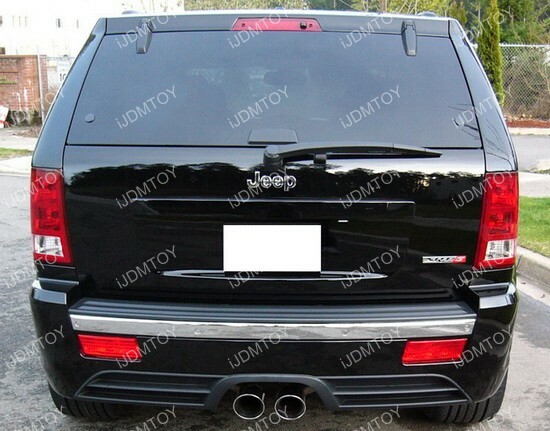 A customer of ours sent in his pictures of his installed iJDMTOY LED rear fog light kit for his Jeep Grand Cherokee to stand out from the rest.